How much is the environmental protection and energy saving limestone Raymond mill? The environmentally-friendly and energy-saving limestone Raymond mill is popular grinding equipment on the market. Guilin Hongcheng is a professional manufacturer of limestone mill equipment. How much is a limestone mill? What are the advantages of the Raymond mill? 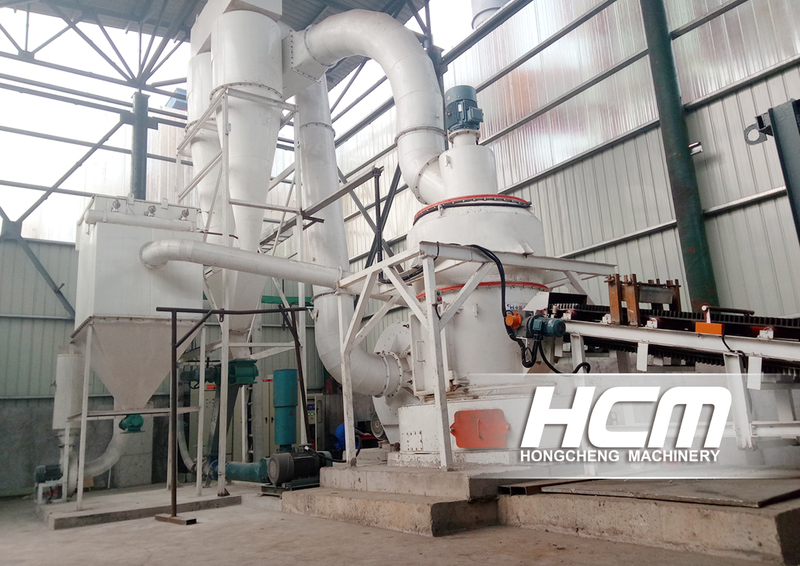 As a limestone Raymond mill manufacturer, Guilin Hongcheng provides a more complete pre-sale, sale and after-sales service. It can be tailored according to the needs of customers and equipped with a reasonable price of limestone Raymond mill. Guilin Hongcheng has rich experience in machining and manufacturing in the field of limestone milling. At the same time, it also has rich experience in the selection and configuration of complete sets. Limestone has a broad market prospect and adopts excellent limestone grinding equipment. It not only has increased production capacity, but also has reduced energy consumption, and the quality of finished products is better and the market prospect is broader. It is a good tool for the development of the limestone industry. Guilin Hongcheng is well-received in the industry because of its excellent quality and perfect after-sales service. It has won the support and trust of many customers. Hongcheng constantly polishes the product quality, constantly innovates, and constantly breaks through. It also continuously improves after-sales service, constantly improves and continuously gains the trust of customers. Therefore, the market has a good reputation and is the favorite grinding machine provider. As grinding equipment, Limestone Raymond Mill is a facility dedicated to limestone in Guilin Hongcheng. It can grind 80-600 mesh powder, the design structure is scientific and reasonable, the whole mill works scientifically, and it has excellent dust removal performance, through the deployment of a new pulse dust collector, the dust collection efficiency reached 99%, the entire production workshop dust emissions are small, to achieve environmental, clean, reduce production requirements. Moreover, the Raymond mill is a new generation of equipment based on the traditional mill. The technical indicators have been greatly improved, and the unit capacity of a single unit has been improved. It is a limestone powder harvest market. 3. How much is the environmental protection and energy saving limestone mill? As a high-tech enterprise, Guilin Hongcheng has a perfect service system. It is necessary to develop a set of selection schemes, to understand the customer's grinding requirements, and to obtain the ideal selection configuration according to the details of fineness, production capacity and production area. The Guilin Hongcheng solution selection team will work out the customer's needs to develop a more reasonable limestone mill price.